This month our featured 'Real Wedding' couple is Hayley and Andrew Edwards, who were married in June at Devonshire House Hotel in Liverpool. 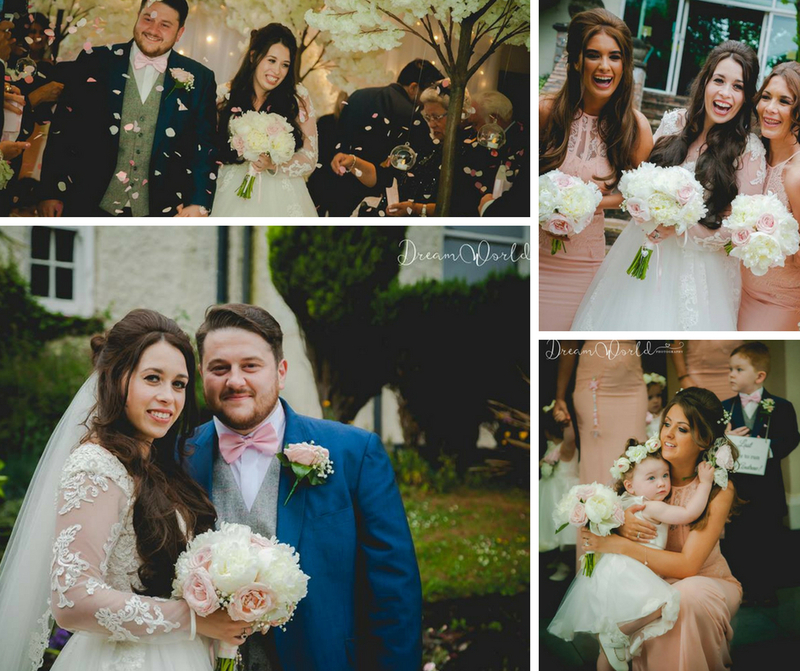 Hayley had a gorgeous blush pink wedding colour pallet and wanted flowers for herself, her Groom, 3 Bridesmaids, Best-Man, Ushers, Mums and Page Boy. After a wedding consultation with us, she decided on a beautiful blush pink rose and peony hand-tied bride bouquet with a ribbon handle. The three Bridesmaids had similar hand-tied bouquets containing the same flowers and had gypsy grass for their hair. Buttonholes and Corsages were made using the same blush pink (Sweet Avalanche) roses and spray roses. As you can see from the professional wedding photos below, Dream World Photography, captured their special day perfectly, in these gorgeous photos. To see more photos of Hayley and Andrew's gorgeous flowers, check out their Wedding Flowers gallery. 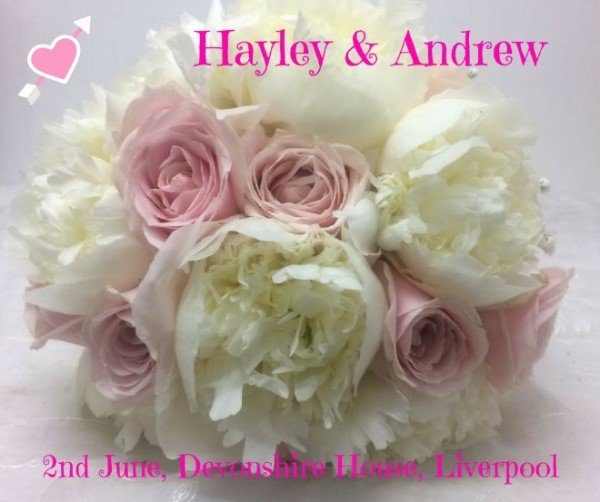 All the pictures on our website are from real Weddings, so if you want some further inspiration or would like to read our Bride's testimonials (like Hayley's below) then check out our Liverpool Wedding Florists website.